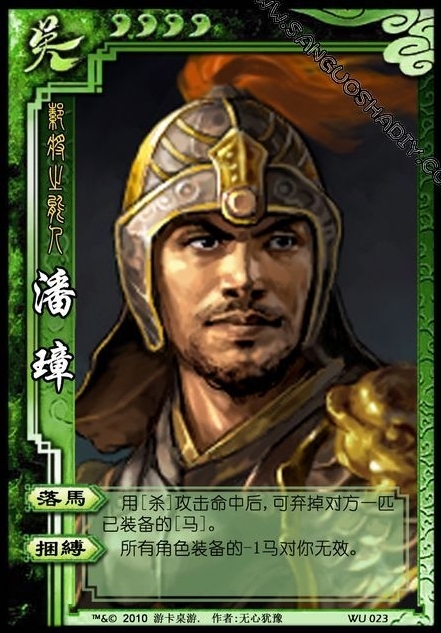 When Pan Zhang's attack hits, he can discard an equipped horse from the target. Pan Zhang is not affected by other player's -1 horse. Pan Zhang can discard either horse for "Dismount" it is up to him.